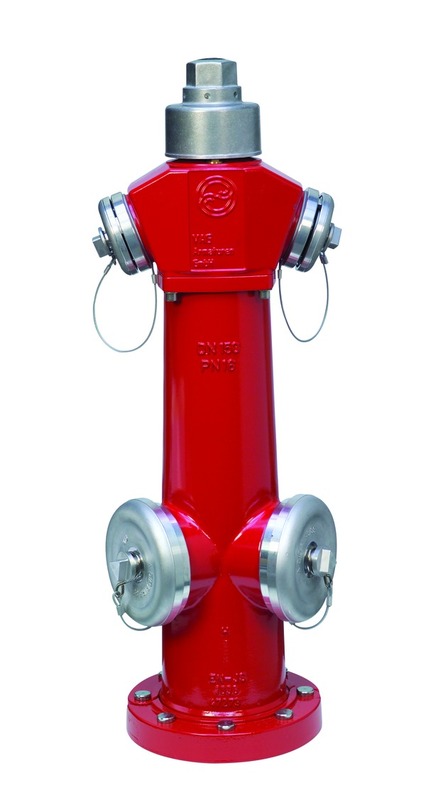 Standpost hydrant with high flow capacity, double closing system and optimised draining system. Available with or without drop jacket for protection against unauthorised access. With predetermined breaking point by breaking nuts. The lap-joint connection allows the 360° alignment of the hydrant. With patented safety interlock for the protection of maintenance staff. Especially suitable for use in high capacity fire-water supply systems, e.g. in industrial plants, at airports and in power plants. Also suitable for water distribution applications.